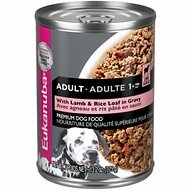 Your new best friend will love meal time when you feed her Eukanuba Puppy Lamb & Rice Formula Canned Dog Food. Lamb is a high-quality protein that includes essential amino acids to help puppies develop strong muscles and it’s easily digestible for young, sensitive stomachs. And as with all Eukanuba formulas, it’s scientifically advanced for peak nutritional performance with an optimal balance of fats, carbohydrates, vitamins, minerals and proteins to promote healthy weight and development. This food is also rich in antioxidants to support your puppy’s immune system and keep it strong. 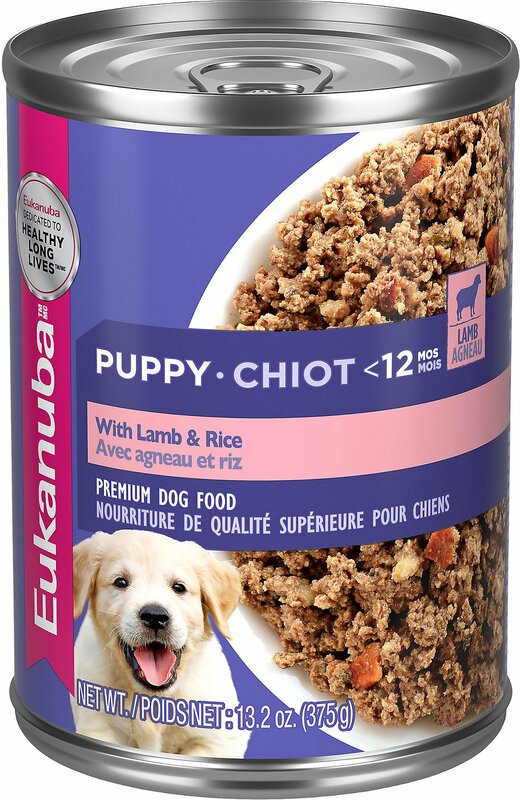 Great for providing complete and balanced nutrition for puppies too young to eat dry kibble and can be used as an enticing topper to help transition her to solid food. 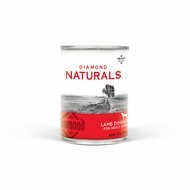 Lamb is easily digestible for young, sensitive stomachs and dogs with sensitivities to chicken or beef. High-quality protein and essential amino acids help puppies develop strong muscles. Brown rice is a quality carbohydrate source that helps maintain healthy energy levels; whole vegetables add great flavor and natural nutrients. Rich in antioxidants to help support your puppy’s immune system and keep it strong as she grows. Can be used as a complete meal for young puppies or an enticing topper to help transition her to solid food. Chicken, Water, Pork Lung, Pork Liver, Chicken Liver, Lamb, Brown Rice, Rice Flour, Carrots, Tomato, Cellulose, Flaxseed, Spinach, Fish Oil (preserved with mixed tocopherols), Natural Flavors, Carob Gum, Carrageenan, Xanthan, Caramel Color, Potassium Chloride, Sodium Tripolyphosphate, Zinc Oxide, Ferrous Sulfate, Vitamin E Supplement, Zinc Proteinate, Calcium Carbonate, Copper Sulfate, Manganous Oxide, Thiamine Mononitrate, Sodium Selenite, Biotin, Niacin, Calcium iodate, d-Calcium Pantothenate, Vitamin A Supplement, Riboflavin, Vitamin B12 Supplement, Pyridoxine Hydrochloride, Vitamin D3 Supplement, Folic Acid. Pregnant or Nursing Dogs : Feed 2 - 3 times the amount shown for puppies 4 months to Adult. I purchased this item for the animal shelter to feed starvation dogs. Our new puppy was on unknown food when we got him, so we started with some Eukanuba we had for our older puppy & had to soak it soft. This canned food arrived 2 days later via Chewy.com, so we started the pup on it, (gradually). When I open the can, our other dog's noses are alert. For a dog food, it smells good. Anyway, despite not knowing prior what type of food this pup was on, he ate & loves this & no loose stools. Happy pup. Happy owner. This is a really good puppy food. My blk german shepherd loves this food. His hair is so shiny and lustrous. He is always complemented on his coat. I rotate this with the other Eukanuba puppy foods dry and wet. His eyes are bright and clear, always in the best of health when we go for check ups. All our foster puppies love this food, even our older pits love it when we let them. We like this can food because it does not smell like "regular" store bought canned dog food, it smells like food and it appears to actually be "food" and not just food by products and left overs. 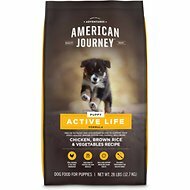 My dogs absolutely love this food. They get so excited during meal time when they know they are getting this. I use a scoop and mix it in with Eukanuba dry food 2x a day. My dogs don't get a lot of the wet food, just enough to make it smellier and more interesting. I gave up trying to get my dogs to eat their own food. I am mixing this with Hills Science mature dog. Both my puppy and my 15 years old are loving it!